In the last instalment we covered five simple pointers for caring for your feet. Here are another five, plus one more because we are feeling generous! If you spend many hours in heels at practice, then swap to flats as soon as you have finished training. Consider adding more flat or low-heeled shoes to your wardrobe for everyday wear and save the heels for dancing. Do you experience discomfort and pain when practising? Try alternating every second workout with different shoes or lower heels to ‘rest’ your feet and stretch your calves. If footwear is rubbing, try pairs in different fabrics. As an aside, thongs are very popular footwear in the warmer months. Please avoid them. 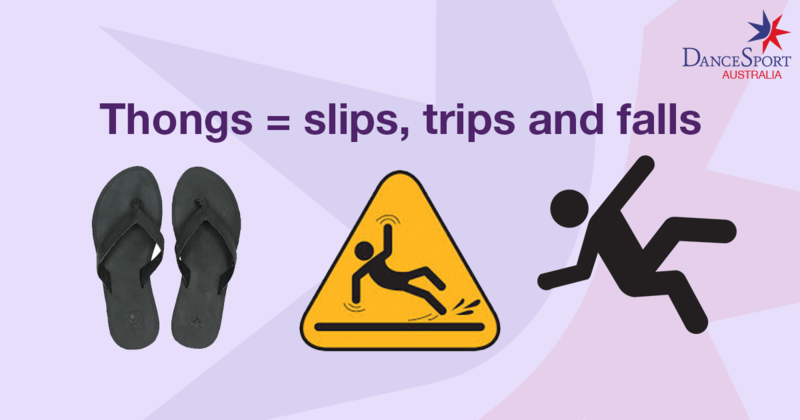 They can be slippery, dangerous and can cause a fall but, more importantly, they are bad for your feet, providing no support at all. Been on your feet all day? 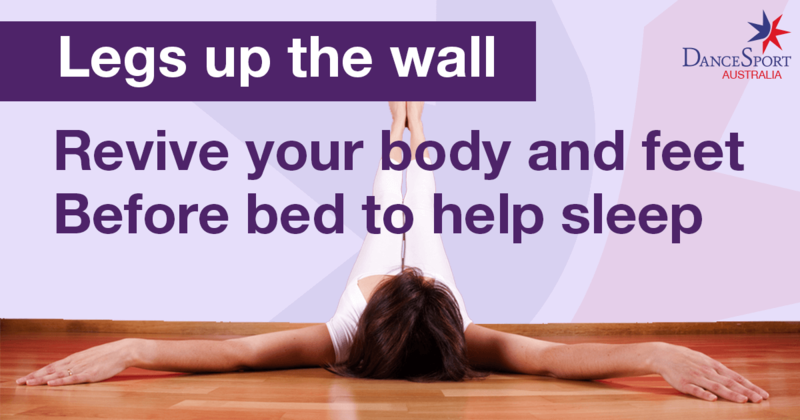 Take five minutes when you get home to lie on the floor and put your feet up. This helps improve circulation, reduces inflammation in tired feet and lowers your blood pressure. Lie down on the floor next to a wall and simply extend your legs above you (see image) so heels are resting comfortably against the wall. If you need more comfort, lie on a blanket or yoga mat. A cushion is good for supporting the pelvis. No free wall space? Using your bed with knees bent over the edge works. This tip is for anyone who wears a heels a lot (which is most female ballroom dancers), as wearing heels shortens calf muscles. Press the ball of your foot against a wall so your foot is at a 45-degree angle. Hold for 15 to 30 seconds then swap to the other foot. Repeat three times on each side. If you are a fan of wearing high heels here are some more exercises to prevent injury and pain. They can become rather thick and uncomfortable and be uneven in your shoes, but calluses are actually helpful. They will help avoid blisters and abrasions. The trick is to keep them smooth - but don’t remove them. A pumice stone is good - or even sandpaper will do the trick. 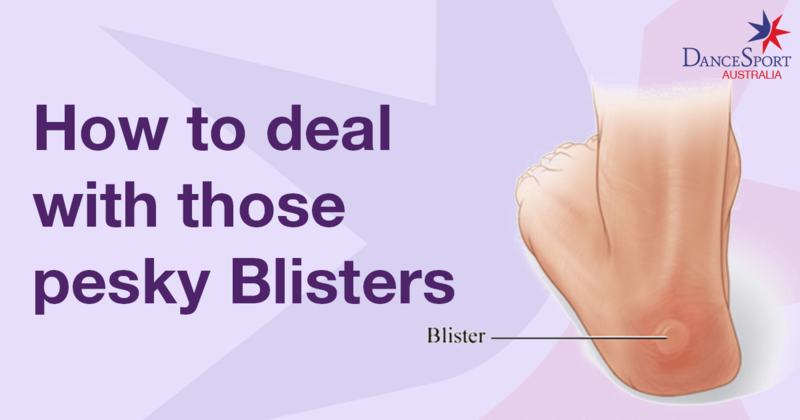 Take care of blisters, they are bound to happen, especially when new shoes are being broken in. Even the smallest of blisters can be very painful for dancers. Clear coloured blister without broken skin: Use a sterilized needle to pop the blister and drain out the liquid; however, don’t remove the loose skin. Cover the blister with a sterile strip as well as a strip of athletic tape. If the skin has begun to tear, use a small pair of scissors to remove any loose skin then cover the wound with a sterile strip and a strip of athletic tape. Red coloured blister: Blood blisters should be left to heal on their own, so regardless of how tempting it is, do not pop. Cover the blister with a sterile strip and a strip of athletic tape. For painful blisters, cut the centre out of a small piece of moleskin in order to form a donut shape (or visit the pharmacy for specialist products). This prevents the surface of the shoe from rubbing on the blister until it heals. Cut a square or circle that’s bigger than your blister. Fold in half and make a slit. Putting the scissors through the slit, then cut an inner circle the size of the blister. Remove the paper covering and stick the moleskin pad in order to surround the blister. Check the fit of the shoe. Blisters are normal with new shoes, but if blisters are appearing on a regular basis, a different style of shoe may be a better fit for you. 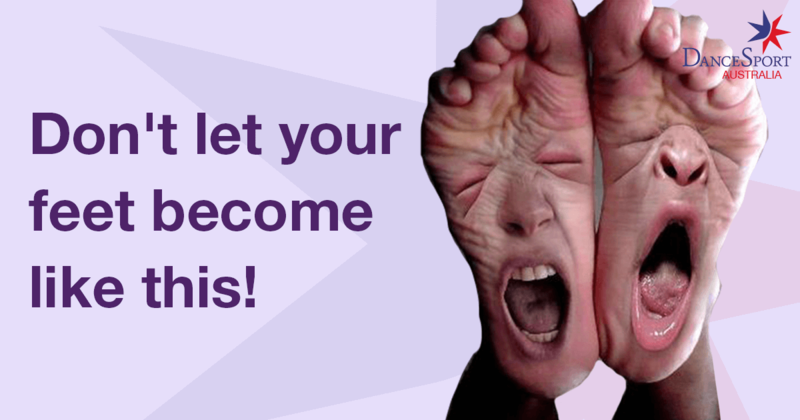 Never, ever, ever forget to take care of your feet otherwise they may look like this! This information is only of a general nature. Please seek professional help if you need specific answers. Most suburbs and larger towns have podiatrists/chiropodists, commonly known as foot doctors.